Security tinted No. 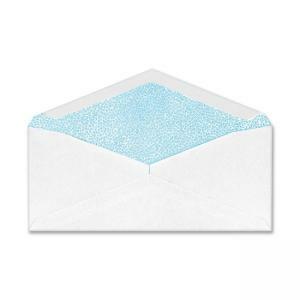 10 business envelopes are ideal for all your business, professional and personal correspondence. Security tinting provides added privacy and confidentiality. Made of premium 24 lb. white wove stock with executive style diagonal seam V-flap construction. Include moisture activated gummed flap seals.